The Looking Glass Theatre presents Treasure Island at the Millennium Memorial Hall – Saturday May 18 at 19:30. 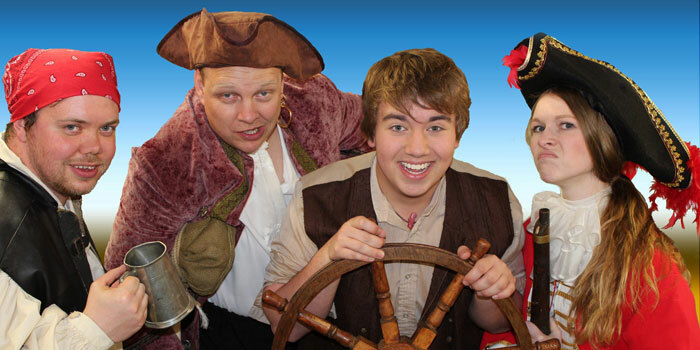 In an exciting musical adventure for all the family, Looking Glass Theatre sets sail on the high seas. Meet Jim Hawkins and join his quest to stop Long John Silver and the pirates from finding hidden treasure! This version of Robert Louis Stevenson’s classic tale is adapted and co-directed by James J. Smith and Leigh Souter, with music by Ian Riley. Doors open at 19:00. Tickets are £5.00 for adults and £2.00 for children. Call Liz Al-Anazi on 07801 541962 to book tickets or for more information.